Located at the center of Orange County in coastal Southern California, Irvine is an affluent community and one of the nation’s largest master-planned urban communities, encompassing more than 65 square miles. 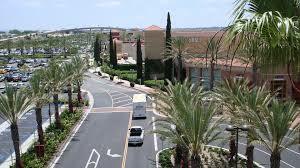 The original master plan called for “villages” within Irvine, each to contain a distinct architectural style. These charming styles can be seen today: Spanish Mission, Bungalow, Craftsman, Tuscan, California Modern, and Mediterranean, to name a few. This visionary city boasts a unique balance of urban living and preserved natural space, with over 20 community parks and almost 50 neighborhood parks, as well as the San Joaquin Wildlife Sanctuary. The City of Irvine also encourages bicycle usage, offering 44.5 miles of off-road biking trails and 282 miles of on-road bicycle lanes within the city. Historically, Irvine owes its name to James Irvine, an Irish immigrant who came to California to try his luck during the state’s Gold Rush, but found more money in selling products to miners. Through this and later successful real estate ventures, Irvine was able to purchase 125,000 acres of land (from the Pacific coast to the Santa Ana River) in 1864, which came to be known as the Irvine Ranch. From then until the 1940s, the family ranch produced livestock, field crops (at one time the largest producer of lima beans in the country), olive and citrus groves. During WW2, James Irvine, Jr., sold some of the best land to the US Government for the El Toro Marine Base. His son, Myford Irvine, later opened up vast areas of the ranch to urban development. A master plan for the Irvine Ranch community was developed, and in 1971, the citizens of Irvine voted to incorporate; thus, the City of Irvine was born. Today, Irvine has a tremendous reputation as a great place to vacation — ranked “America’s Safest Big City” by the FBI since 2005, and less than half an hour from some of California’s best-loved attractions, including Laguna Beach, Newport Beach, Disneyland Park®, and Knott’s Berry Farm — it is also an exceptional destination for meetings and events, and is a culturally diverse home to over 100 company headquarters. With its safe streets and attractive neighborhoods, beautiful open spaces, world-class commercial and business centers, top-notch education and higher learning centers (University of California, among the many), Irvine is truly a total destination city.